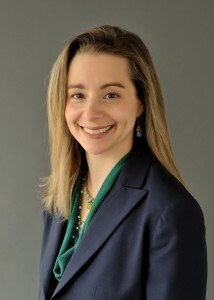 Nicole is a Senior Vice President at Cassidy and Associates, successfully helping clients anticipate, understand, and navigate the policy, budget, and regulatory actions across the federal government while protecting their interests and creating opportunities. Utilizing her substantial knowledge and experience of Congress and the Executive Branch, Nicole develops comprehensive strategies for clients. She actively pursues legislative and administrative avenues for opportunities and solutions. Nicole advocates for a broad range of corporate and non-profit clients in the National Security area, tailoring unique approaches to promote her client’s interests, raise awareness on issues, and develop results. She joined Cassidy and Associates after serving 16 years on Capitol Hill, most recently on the Senate Appropriations Subcommittee on Defense as a Professional Staff Member. Her portfolio for the Defense Subcommittee included the Defense Health Program and all medical research and health information technology; missile procurement for all Services; Marine Corps Procurement; Joint Improvised Explosive Device Defeat Fund; programs and authorities related to security stabilization and operations in the Global War on Terrorism; and military bases and commands in Hawaii and the Pacific Area of Responsibility. She also supported the Hawaii delegation through the 2005 BRAC process, successfully removing Pearl Harbor Naval Shipyard from the closure list. Nicole negotiated key policy provisions with multiple committees and government entities in a bipartisan and bicameral basis. She facilitated working relationships between numerous private sector entities and government officials to foster groundbreaking medical research and technology benefiting service members and their families. Prior to joining the Defense Subcommittee, Nicole worked as a Professional Staff Member for the Senate Appropriations Subcommittee on Treasury and General Government. Nicole also served on the personal staffs of Senator Charles Schumer (D-NY) and Congressman Edward Markey (D-MA).